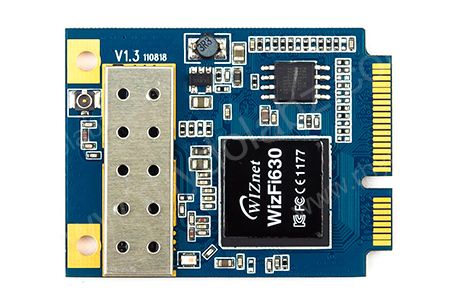 Description: The WizFi630 is an High Performance 802.11b/g/n serial to WiFi module. The module provides serial UART interface which enables connection to any embedded design utilizing and 8/16/32-bit microcontroller via simple commands. 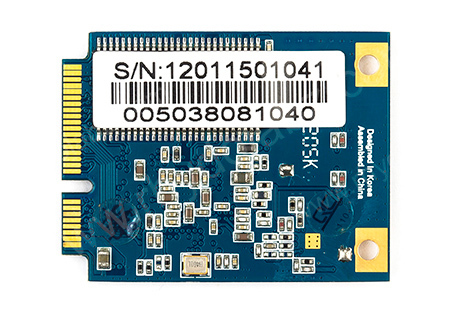 The module supports Physical link rate up to 150Mbps, and is compliant with 802.11b/g/n. The Serial to Wi-Fi embedded software allows devices and appliance manufacturers to easily add WiFi capabilities to their products with minor impact on the host microcontroller firmware. The WizFi210 provides all the hardware and software necessary to quickly set up a serial (UART) based link to a PC or external microcontroller.